It is said that March comes in like a lion, but goes out like a lamb. With the return of milder weather, your cat will certainly be eager to go out more. 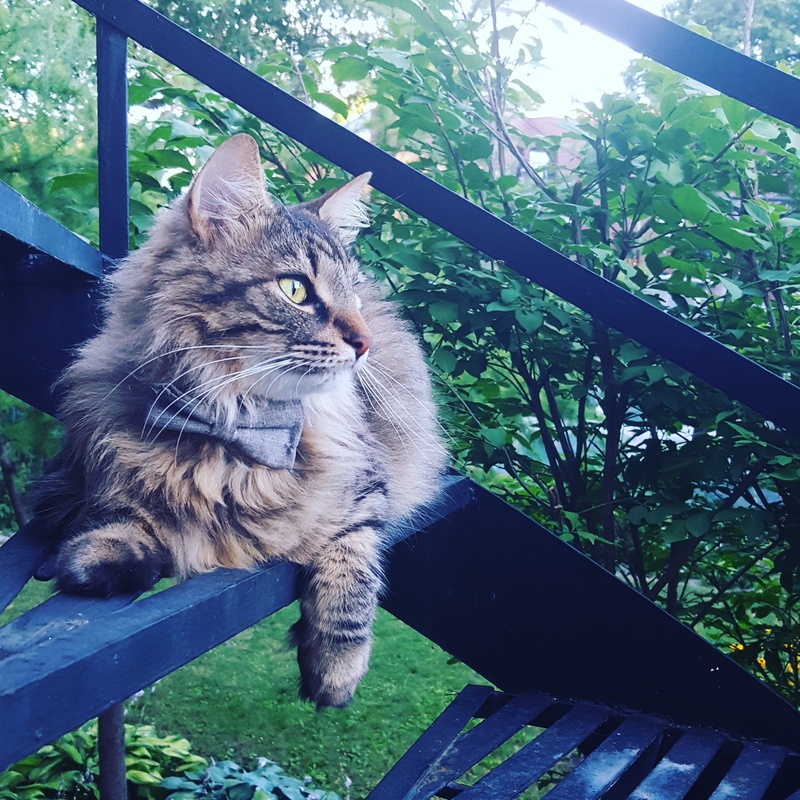 What are the risks involved and what precautions should you take when your cat can think of nothing else but exploring his neighbourhood? Road accidents: These are one of the most common causes of death. Risk of poisoning: Poison can be found in fertilizer used in gardens, in salt used to de-ice sidewalks during the winter, or in some plants that cats may eat by mistake. Potential predators: Dogs, territorial cats and wild animals (if you live in the suburbs of a large city) are the main predators. Infectious diseases: Contact with other cats (especially during fights) and the environment can lead to infections by viruses causing, for example, feline immunodeficiency, feline leukemia, panleukopenia or feline respiratory diseases. Parasites: Your cat can catch fleas or other external parasites rubbing up against other cats or in the environment. Access to a contaminated environment and eating prey can be a source of intestinal worms. In order to limit the risks, there are still precautions that cat owners can take to improve their pet’s life expectancy. If your cat really wants to go out, arrange to let her out during the day and return home in the evening. At night, the risk of an accident is higher (e.g., a car accident due to low visibility, predators come out at night to hunt). Appropriate vaccination will reduce the risk of disease. Identifying your cat with a microchip or an ID tag can help you get your lost pet back. Sterilization is recommended for both males and females in order to avoid unwanted pregnancies (it takes two to make a baby! ), and also to reduce territorial battles and prevent your cat from roaming too far from home in order to mate. If your cat has been declawed, letting him out is not recommended, since he will have a hard time defending himself if he needs to. Try to keep your cat indoors during very cold weather to avoid frostbite. Exercise is as essential for animals as it is for humans. An outdoor cat will have an easier time getting exercise, which will help her maintain a healthy weight. Outdoor cats are less likely to develop behaviour problems such as peeing indoors but not in the litter box, or sharpening their claws on the furniture or carpets. It is up to you to decide whether or not to let your cat go outside. Depending where you live, you can survey your environment to assess potential risks for your cat (highway, stray cats, predators, etc.) and make an informed decision.